Boarding for this trip takes places in Arnhem. As soon as everyone's on board, we'll depart Arnhem and set sail for our capital city, Amsterdam. After dinner, you'll have the opportunity to take a walk to the centre. 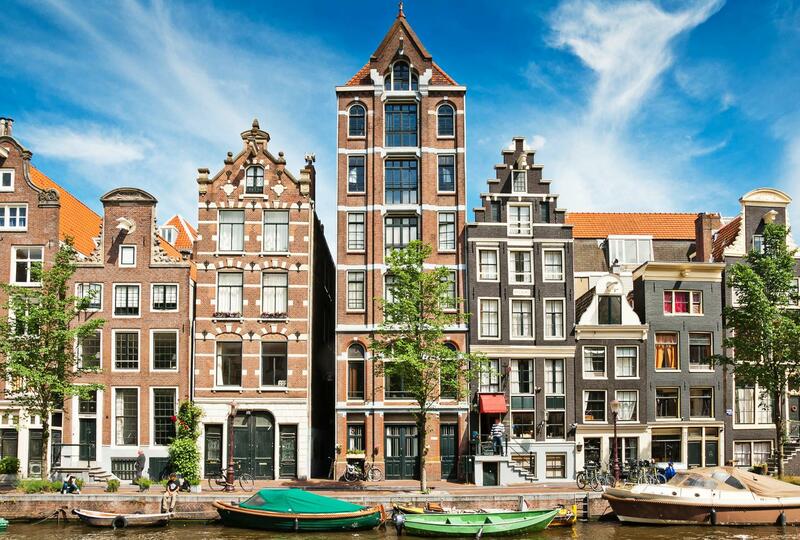 We'll stay in Amsterdam for the morning, and you can visit one of the museums if you like, or do a canal tour. 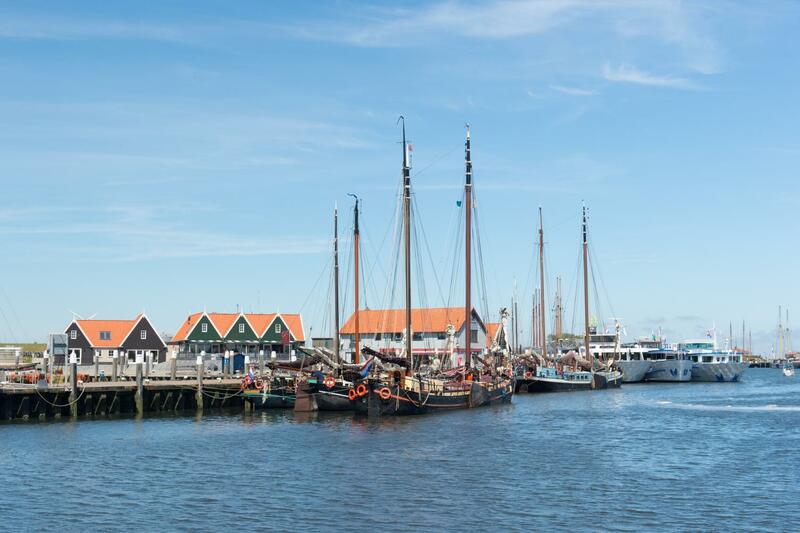 During lunch, we'll leave the capital and sail towards Enkhuizen on the IJsselmeer. Besides picturesque buildings, the atmospheric centre of this city also houses many historical buildings that recall the prosperous Dutch East India Company period. 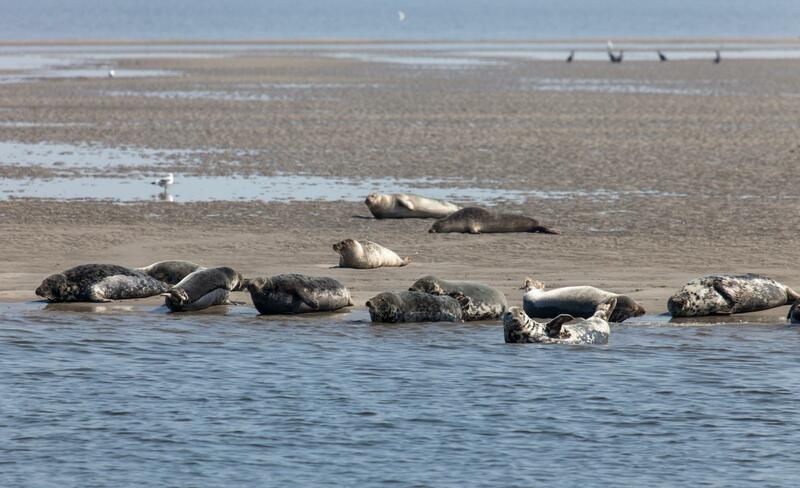 With a little luck, we'll be able to see a group of seals on a sandbank during our crossing to Texel over the Waddenzee (Wadden Sea). We dock at the fisherman's harbour of Oudeschild on Texel. On board you can enlist for a tour(*) across this beautiful island. 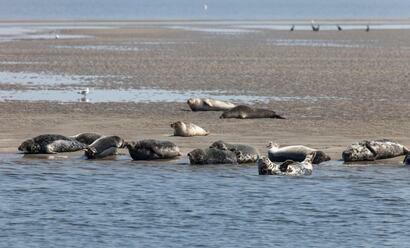 We leave the Wadden Island of Texel early and set sail for Harlingen, where we arrive after lunch. The beautifully restored warehouses in the harbour still bear witness to trade with exotic lands. At the end of the afternoon, we continue our trip towards Franeker. After dinner, you'll have the opportunity to visit this quaint Frisian place. We have a long but unforgettable day of sailing ahead of us. We'll set sail for Delfzijl via the Van Harinxama Canal and the Eems Canal. It's quite a special experience to sail past the meadows of Friesland and Groningen in such a large ship. We'll reach Delfzijl towards the end of the afternoon. The Eems flows into the North Sea at this sea port. Because of its location, Delfzijl used to be a strategic point, since from here it was possible to control the shipping route on the Eems to Germany, and the trade route to Groningen on the Eems Canal. 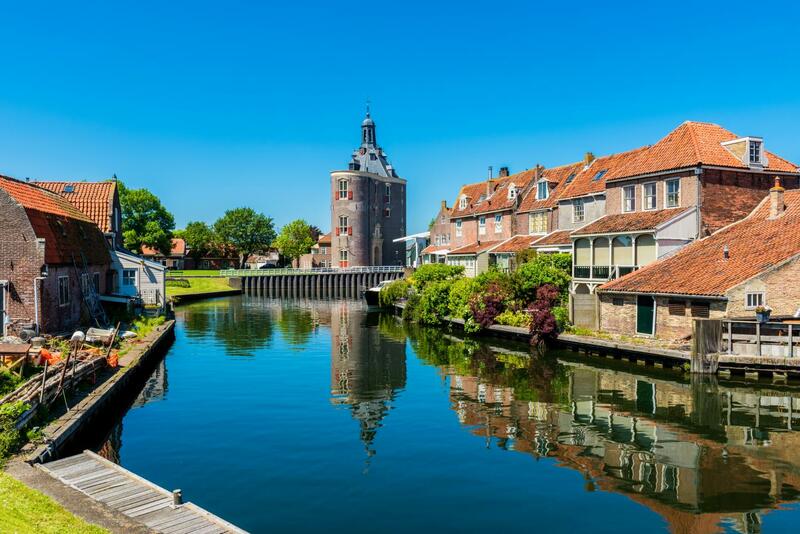 At Delfzijl, we leave the Netherlands and turn the prow towards the pretty and atmospheric German town of Leer. The old buildings in the pedestrian zone of the Altstadt (Old Town) are beautifully maintained. We stay in Germany today. After a couple of hours of sailing, we arrive in Emden, the most westerly harbour of Germany. It is of course worthwhile to take a walk through the centre, and to take a seat on a terrace at one of the many ice cream shops. From Leer there is the possibility of a bus trip to the famous Meyer Werft(*) ship building company. Here they still build huge sea cruise ships, and you'll be amazed at the technical wonders that are achieved here. We'll sail back to the Netherlands, and our destination is Groningen. Groningen has lots to offer. The city manifests itself as the cultural centre of the northern Netherlands. There are numerous museums and attractions. The atmospheric centre, about a 25 minute walk from our berth, is definitely worth a visit. 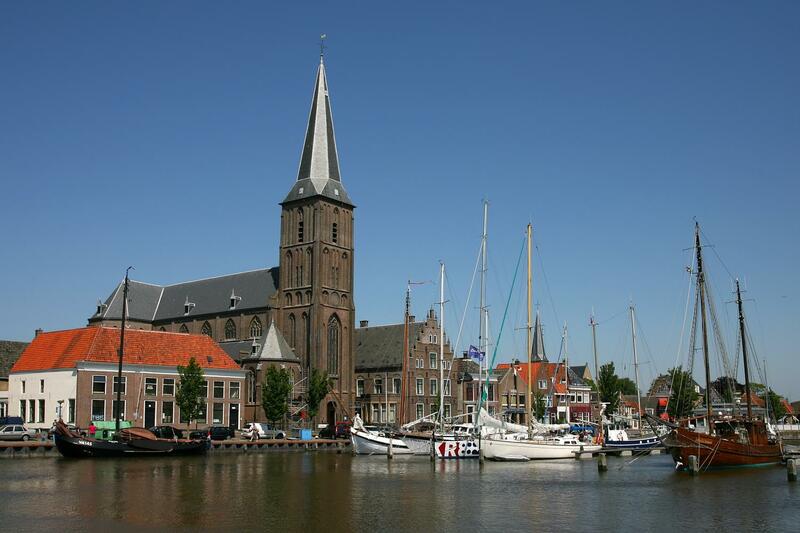 We'll set sail for Sneek, locally known as Snits, through the countryside of Groningen and Friesland. Sneek lies on the Sneekermeer, and is primarily known for its narrow canals, the Waterpoort, the Elfstedentocht skating tour, and the Sneek Week. Via the Prinses Margrietkanaal (Princess Margaret Canal) we’ll sail to Lemmer, which we reach in the course of the morning. It's very atmospheric in this city, which during the summer is engulfed by water sports lovers. The largest steam pumping station is located just outside this fishing village and well worth a visit. Early in the morning we set sail for our next destination: Urk, also known as the Pearl of Flevoland. You'll find yourself in times gone by when walking by the quaint wharf or the narrow alleys and streets here. This place used to be an island, and the old village centre of Urk is a picturesque place for tourists. 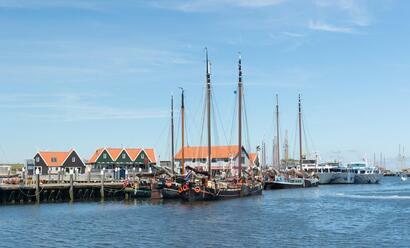 During lunch, we cast off and sail to Kampen over the Ketelmeer. We'll arrive here in the course of the afternoon. 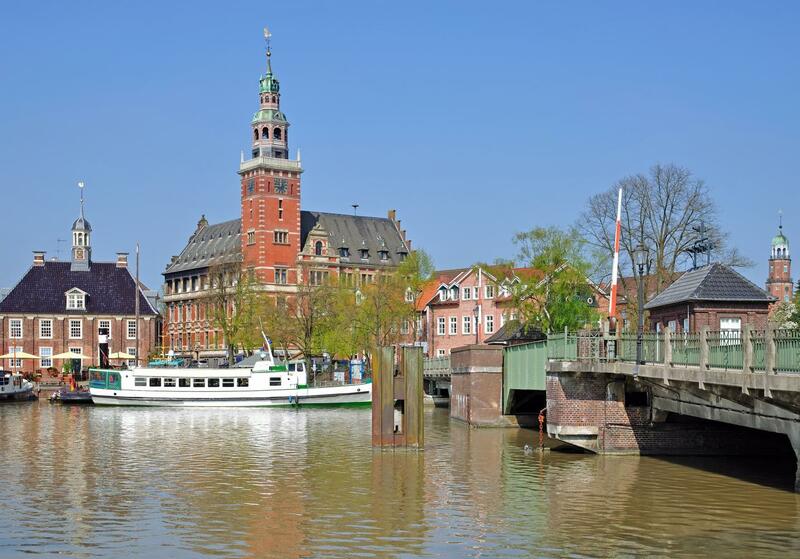 The historic Hanseatic city of Kampen is an atmospheric city with many old buildings. This evening your captain will invite you for the Captain's Dinner. At the beginning of the afternoon, we arrive in the next Hanseatic city - Deventer. 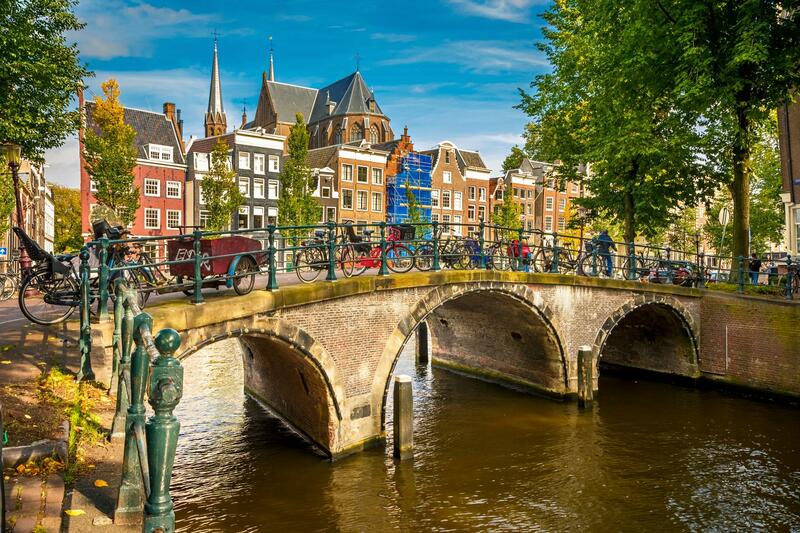 This is one of the oldest cities in the Netherlands, and there are numerous monuments that recall the Hanseatic period. An experienced guide will walk with you to these monuments (*) and inform you all about this interesting city. It won't be long before Arnhem appears on the horizon. We are sure that you will have enjoyed the variety in cities and landscapes. At 14.00, we arrive back in Arnhem.